When the Financial Times names diversity leaders, it’s an industry recognition that’s worth a million dollars because corporate speak and advertising don’t buy that. In other words, it matters and it also goes a long way in rewarding companies that make a positive difference in society — often behind the scenes. On 24 September 2018, Obelisk Support joined the inaugural FT Future 100 UK list as a diversity leader and we are proud to announce that we were the only legal company part of the list. How does the FT choose diversity leaders? Obelisk Support, along with 18 other companies, was recognised as a diversity leader after a two-step process – first, data and written submissions screened by a judging panel including corporate and research experts, then a judging meeting led by FT journalists. Obelisk Support had already been recognised in the FT 1000 as one of Europe’s fastest-growing companies in April 2018. Being selected to the FT Future 100 UK a few months later shows that honesty, fairness, respect, diversity and gender balance has been crucial to Obelisk’s success as a business. Diversity and inclusion are party of our ethos at Obelisk and this is all the more relevant when we are one of the few women-led tech-enabled alternative legal services providers. Check our website if you want to know more about who we are. Who are the other diversity leaders? A shout out to other companies who made the list as diversity leaders is in order, as they all deserve to be acknowledged for the way they are improving their industry or society. AnalogFolk are a global digital creative agency whose stated mission is to ‘use digital to make the analog world better’. The company funds an accelerator programme for senior women in the agency, and participates in a cross-industry mentoring scheme connecting junior people from BAME or lower socio-economic backgrounds with people high up the ladder. Responsible, ethical and thoughtful investing is the tagline for this financial services company. The company is dedicated to ensuring an inclusive work environment, pledging to maintain a 50/50 gender split for key managers within the firm over the next 3 years, and in October 2017 became one of the 162 signatories of the Women in Finance Charter to encourage greater numbers of women at senior levels of the finance industry. Propercorn was founded by friends Cassandra and Ryan, who grew their popcorn business from his London flat. They are a certified B Corporation, a business recognised by non-profit B-Labs for meeting high standards of overall social and environmental performance, transparency and accountability. A family run business, Clifton Packaging’s Managing Director Shahid Sheikh OBE is a big advocate of promoting equality and opportunity both in the company and outside of it, and was named in the top 100 BAME Board Talent Index 2017. This innovative Italian food company has not only won a number of food industry awards, but is also successful due to their focus on fairness and responsibility to customers, partners and communities alike. Ebury currency and business finance specialists seek to remove all boundaries in business, and were listed as an all-rounder for their impact on society and the industry. The company runs a number of internal and external programmes to ‘ensure that honesty, fairness, respect, diversity and gender balance remain at the very core of Ebury’s business’. Harley Therapy’s platform provides access to therapists of a diverse range of therapeutic practices, with a mission to eradicate emotional suffering in global society. iStorage is a leading global provider of encrypted hardware data storage devices, and is praised by employees for its inclusive work culture and generous employee benefits such as healthcare coverage. Mansion House Consulting is an IT and technology consultancy catering to to clients in the financial services sector. They support children’s charity Sparks, sponsoring fundraising industry events on subjects such as Diversity in Leadership. A business that’s all about people, McGinley was also named as a Sunday Times’ ‘Best Company to Work For’. The company values place a focus on being genuine, and treating people equally and respectful and considerate of people’s time and individual perspectives. Office dealer services provider Nectere was also recognised as one of LSE’s 1000 Companies to Inspire Britain in 2017, and places high importance on flexibility and diversity in order to successfully provide their services. Fashion designer von Halle started her career as a trend forecaster for major design labels before launching her own loungewear brand in 2011. The company guarantees responsible, sustainable production, prohibition of discrimination and fair compensation and working hours as part of its CSR code of conduct. As well as their people-centric focus and work with local and national charities Portafina financial advisers may lay claim to the best employee story ever published on a company website, where one of their marketing team spent 3 hours resuscitating a fish which went on to live for another 3 years. Commenting on their FT listing, Sally Vincent HR manager at the retail out-of-home media group said: “It could be said that our diverse workforce comes more naturally to us than it may do for others, but that is because our approach has always been to bring in the best and most talented people to our agencies, regardless of gender or socioeconomic background. As our business continues to grow and change, our mindset to attracting and nurturing talent certainly will not”. Smarkets is one of the worlds largest betting exchanges, providing the best odds and low-cost fees for over 200000 clients. They champion integrity with honest, user-centered trading on sports, politics and current affairs. Spektrix is a ticketing, marketing and fundraising software accessed through the internet with the aim of helping arts organisations succeed. 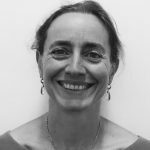 Laure Latham is editor of The Attic and a former lawyer specialised in corporate tax at Clifford Chance. She regularly reports of current legal topics, whether on diversity in the legal profession or on legaltech or legal pop culture. She is also a blogger and journalist on the outdoors and health, as well as the author of a hiking guidebook and of an art history biography.